Many people think board games are a thing of the past since computers and online games have taken over. But I am here to tell you that table top games have found a place in the geek and nerd world! The YouTube channel Geek & Sundry runs the very successful gaming show called TableTop. And to celebrate TableTop’s first birthday. Geek & Sundry along with Wil Wheaton and Felicia Day (who’s from Alabama) wants all of you to play board games on International TableTop Day! What is International TableTop Day you ask? International TableTop Day is a celebration for all the fans of tabletop gaming. A single day where the whole world is brought together in a common purpose of spending time together and having fun. International TableTop Day is a reminder to spend more time and strengthen the bonds with the people who matter most, our friends and family, by playing games together. Tabletop gaming promotes many positive social and cognitive benefits like increased communication, team work, planning, and is an excellent stress relieving activity for all ages. International TableTop Day also represents the launch of the hit show TableTop, hosted by Wil Wheaton. TableTop has been a well-reported boon to the international gaming community, not only creating whole new generations of tabletop gamers, but also providing a rising tide that supports many game stores and publishers. Geek & Sundry has received thousands of fan mail responses telling them about how TableTop has rekindled their friendship, brought families together, helped hospital patients find strength to carry on, and even provided peace for grieving families. TableTop has become much more than a show, it has become a shining light for the whole international gaming community. And they want to give back to their fans in a very special way! 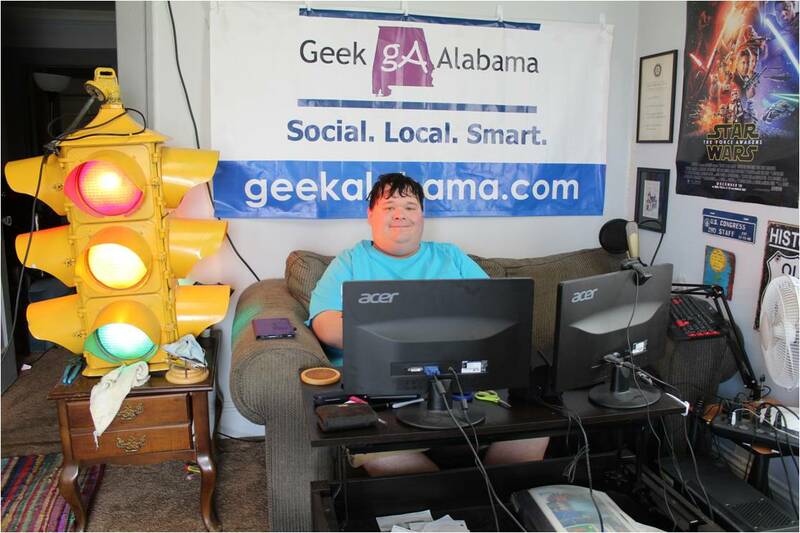 In Alabama, shops Dragon Quills, Top End Gaming, The Foundry, The Deep Comics And Games, Haven Comics Etc., The Comic Shop in Decatur, Quality Collectibles, Fanatix, Gamers N Geeks, Mini War Game, Bud’s Place Games, 2nd and Charles, Books-A-Million in Birmingham, Mad Doctor, Crossroads Comics and Games, The Keep, Crimson Castle, and more are hosting events for International TableTop Day! If you participate in International TableTop Day, use the hashtag #TabletopDay to keep everyone up to date on your events and to share videos and photos! 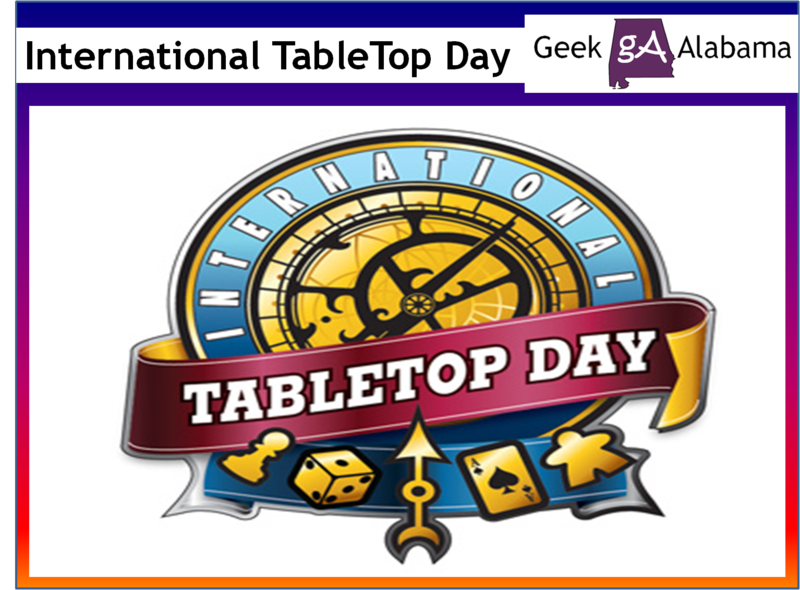 Help GeekMom Celebrate International TableTop Day! Wil Wheaton Talks TableTop Day!